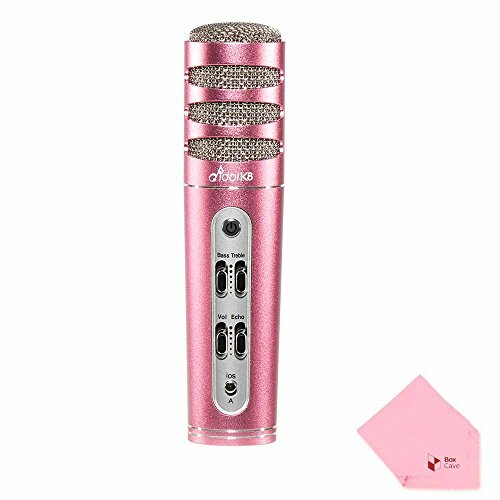 Full Power condenser microphone is a great singing microphone choice for home singing, and an alternative way to have a wonderful Karaoke singing experience. By using a third party Karaoke app, you can start singing your favorite songs right on your cell phone or tablet. You would be surprised by the amazing sound effect produced by our microphones. Please email us with any concerns before ordering or after. Latest mixing chip with echo sound adjustment, to make voice sound crystal clear. Powerful and flexible echo mixer with treble and bass control. Lightweight aluminum alloy for better grip. Double layered mesh with noise filter technology to filter sound of air and wind. Dual jack output for duet singing to provide balanced sound. 8 hours power endurance, for non-interrupted singing. If you have any questions about this product by Full Power, contact us by completing and submitting the form below. If you are looking for a specif part number, please include it with your message.